Hanoi (VNA) - The investigation police under the Ministry of Public Security on March 19 prosecuted two more persons on the charge of “violations of regulations on the management and use of public capital causing losses and wastefulness”, under expanded investigation into the case of Phan Van Anh Vu. 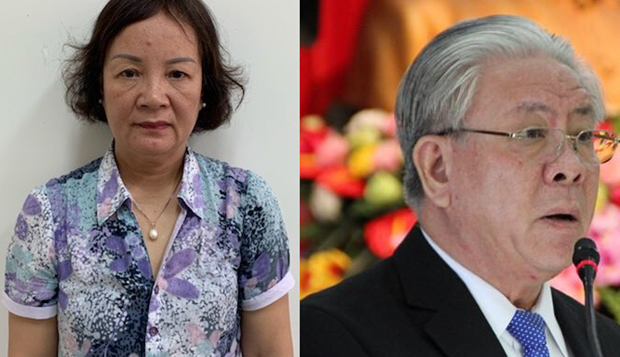 The two are Nguyen Thi Thu Ha and Nguyen Thanh Sang, who are both former deputy directors of the Department of Finance of the central city of Da Nang. House search warrants against them were also issued on the day, along with orders banning the two from leaving their places of residence. According to the indictment, while operating the Bac Nam 79 Construction and Nova Bac Nam 79 Companies, Phan Van Anh Vu, under the name of the MPS, asked ministries, sectors, and local administrations to rent land to him as well as transfer to him the right to use land and property on land of public housing and land projects in prime positions in Da Nang city and Ho Chi Minh City, which was not in line with State regulations.